How to rotate the label counter clockwise such that its base line is parallel to the bisector? I got the solution even though it is not elegant enough. 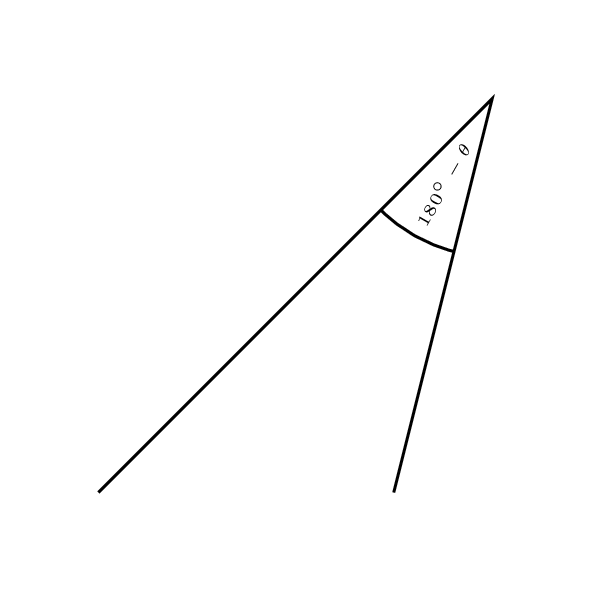 Is there a formula to determine the maximum value arcsepB such that the arrow head looks best? How to change the step of tick and label of \psgrid? How to hijack a key assignment to raise an event that triggers its event handler? In psmatrix, dow do I connect a line to each of the parallel lines in doubleline? How to change the axes label from radian to degree?